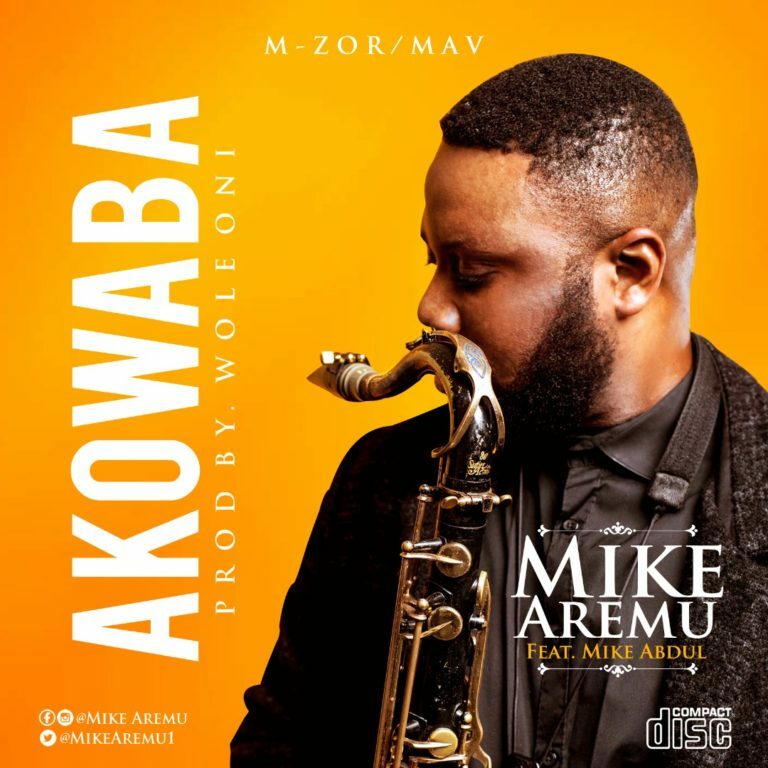 Multiple award winning Nigerian international saxophonist, Mike Aremu has activated his 2018 discography with a very positive vibe, the AfroGoJazz sound pioneer Mike Aremu”teamed up with Mike Abdul to churn out this silky, encouraging and conscious tune titled Akowaba, produced by the veteran music engineer, Wole Oni. Mike Aremu delivers excellently on this one, bringing in professionalism with high level performance. No wonder he is referred to by industry giants as one of Africa’s most skillful saxophonist. The song “Akowaba” is a very positive one, full of energy and at the same time very groovy, Mike Aremuscored a hit on this one. The video for the song has already been shot and should also premiere anytime soon but before then, listen, download and share. Akowaba is executively produced by M–ZOR/ MAV.